As a representative of the main players in bio-based chemistry, the ACDV (Association Chimie du Végétal) is a driving force underlining industrial stakes to national and European bodies : it presents to Europe’s governing bodies the vision and the stance of industrial companies regarding the development of bio-based chemistry. EuropaBio is the voice for the biotech industry at the EU level. 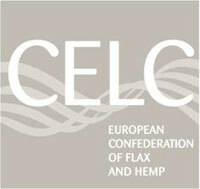 They promote an innovative and dynamic biotechnology-based industry in Europe. nova-Institut is globally active in feedstock supply, techno-economic evaluation, market research, dissemination, project management and policy for a sustainable bio-based economy.